WRFU is an Urbana-Campaign Independent Media Center (UC-IMC) project, that operates a low-power FM (104.5) community radio station. 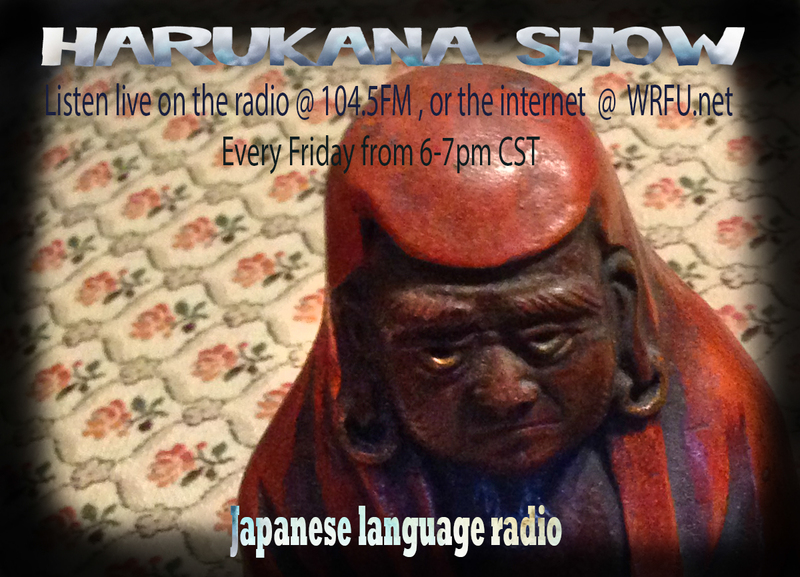 Harukana Show comes to you every Friday from 6 pm to 7 pm CST. The host of the show is Mugiko and the co-hosts live in US and in Japan. We will speak in Japanese as we connect the US and Japan through radio. You can come to the studio and speak through radio in Japanese or English, or in any other language, or join us by Skype or Google Chat from anywhere in the world. We also stream live over the internet at wrfu.net. You can listen to live shows or hear previously archived shows as well. We hope through our show you will discover various aspects of society and culture in the daily lives of the people of Japan. You can also enjoy the Japanese music and sounds we bring you. 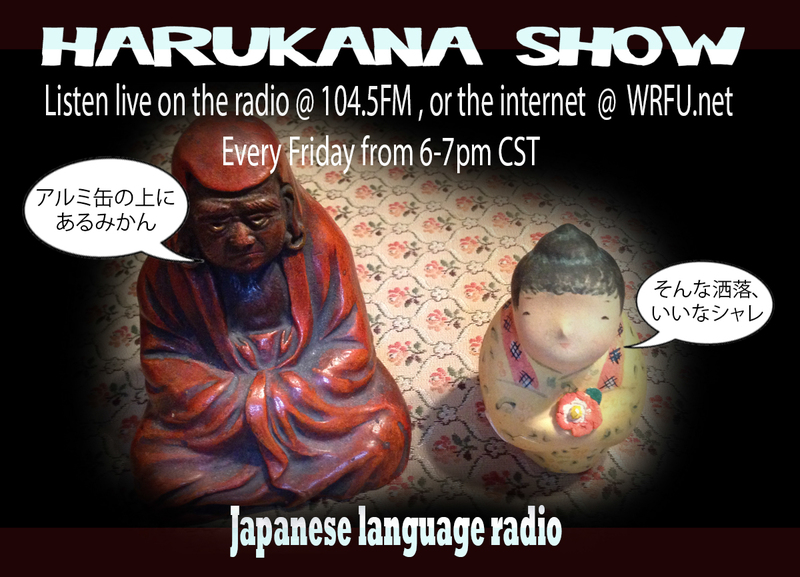 Please write to us to tell us any events related to Japan and Asia taking place in Urbana-Champaign, and to recommend your favorite Japanese songs for the listeners of the show. We also hope to hear from you about your interests in Japan: anime, film, manga, literature, music, fashion, festival, food, goods, society, etc. Happy listening, and we hope to eventually see as many of you through the show! ☆ Harukana Show (「ハルカなショー」) has two meanings: one is 春香 (spring flavor), the other is 遥か (far-way). We will bring you the flavor of the seasons daily lives, we will try to connect places and people far-away with each other.